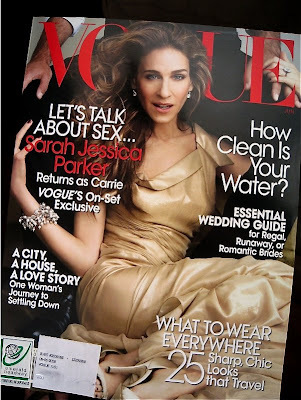 we had been waiting for our vogue subscription for june to arrive. not because we wanted to see this fugly cover: but because we've been waiting to see the last page called last look. 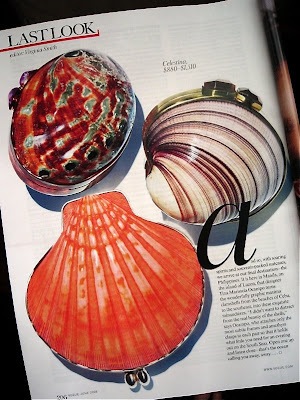 reserved for only the most exquisite items, this month's last look features three celestina shell minaudières. 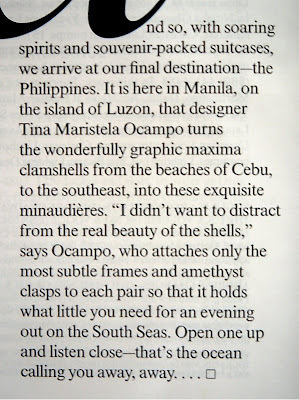 last march, when rafé totengco came to town for the opening of his first freestanding store in manila in greenbelt 5, tina and ricco ocampo hosted a dinner for him at their home. the fash pack was there and that's when tina told us about the upcoming appearance of her bags in the june vogue. she even had a picture of the layout on her cell phone! but we promised not to tell until the issue was out. needless to say, it is a big honor and the best kind of exposure and practically an endorsement from anna wintour herself for the brand. congrats to celestina!